Menopause. The end of a woman’s monthly cycle of menstruation. Also known as the ‘change of life’, menopause is a natural occurrence of life that marks the end of a woman’s reproductive years, just as the initial menstrual period during puberty marked the start. A change in a woman’s reproductive hormones occurs during this period. For those who are wonder where the word ‘menopause’ comes from, it comes from the Greek word ‘menos’ which means month, and ‘pause’, which means to cease. Menopause happens because the ovaries stop producing the hormones estrogen and progesterone. With this said, how do you know when your last period has occurred? You only know if you have had your last menstrual period if you have had no period for 12 months. You may not have your period for months but then start spotting which may indicate the start of your period again. There are different stages of menopause that a woman may experience, including perimenopause, menopause and post menopause. The average age of menopause is 50 but some women can experience it as early as 40 or as late as 55. Women may experience a range of symptoms and hormone levels fluctuate leading to menopause. Menopause that happens earlier than the expected age of around 50 years is called premature or early menopause. Premature menopause is when the final period occurs before a woman is 40 years old. This can occur due to primary ovarian insufficiency where the periods suddenly stop, which affects up to 1% of women. It can also occur when the ovaries are surgically removed, or chemotherapy or radiotherapy treatment for cancer. Early menopause is when the final period occurs before a woman is 45. Up to 8% of women may experience early menopause. Premature and early menopause can significantly impact on your physical health, emotions, mood, body image and relationships, but there are treatments available and ways to reduce the impact. The years leading up to menopause is called perimenopause, which is the menopausal transition. It is often the stage when women begin to experience symptoms of menopause. Periods can stop and then start again and until you haven’t had your period in a year, then you are in perimenopause. During this time, a woman’s hormone levels will fluctuate which may lead to symptoms such as hot flashes. Some symptoms can last for months or even years after menopause. Hot flushes are common symptoms you may experience. They are spontaneous feelings of heat in the upper part or all of your body. As a result of this, your face and neck may become red. Some other symptoms may include irregular periods, trouble sleeping, vaginal and urinary problems, mood changes, and osteoporosis. Changes to your body around menopause can also increase your chances of having certain health problems. There are many important steps you can take to build your health in the recent years around menopause. We all know that eating well has its benefits, especially when you get older, your body does not function as well as it used to. Older people especially need just as much nutrients, so it is important to eat well and have a balanced diet. Eating a variety of food such as fruits, vegetables, whole grains and meat is important. Having healthy bones is also very important especially when you are older; therefore, an increase in calcium intake in needed to maintain bone health. Getting the correct amount of vitamin intake will help maintain your health. Along with a balanced diet, having an active lifestyle is just as important. We all know the many benefits of exercise; it can help our bones, our heart and overall boost the health of our body. Regular exercise can build muscle strength and reduce your risk of health problems. Unpleasant symptoms resulting from menopause can often be reduced with regular exercise and a healthy, balanced diet. Not only does a healthy diet and exercise help with the symptoms of menopause, but certain products can help with the uncomfortable symptoms. Products made from natural and organic ingredients with no chemicals are ideal as they are not only are environmentally friendly, but the absence of chemicals will avoid irritation. Chemicals, artificial colours and dyes in skin care products can cause redness, irritation and even breakouts. If you are experiencing hot flushes, using products with a number of different chemicals such as parabens and petrochemicals, will add to your skin irritation and can make it worse than before. If you are in a period of menopause, using skin care products with active ingredients is beneficial for your body. Ingredients such as chamomile and brown Boronia have soothing, cooling and anti-inflammatory effects leaving you feeling balanced and refreshed. 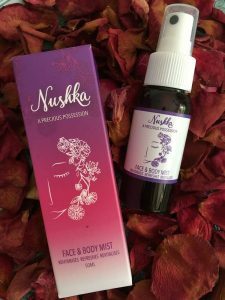 At Kush Health, we provide face and body mist products that are suitable for all skin types and specifically formulated to keep you feeling fresh and cool, especially in the summer. Our face and body mist products are great during menopause for cooling down when you are feeling hot and sweaty. You can now feel more rehydrated, refreshed and revitalised during those uncomfortable hot flushes. Not only are our products great for use during menopause, but for plane trips, at the gym, beach and even at work. Other than our face and body mist, we offer cleaners, moisturisers, serums, body butter and more; all 100% Australian made! Products made with natural and organic ingredients are beneficial to your skin. Many unnatural and inorganic products sold commercially contain harmful ingredients and many people buy these products because of its affordability. Natural and organic ingredients have the ability to penetrate deep within the skin and products that are rich in antioxidants along with vitamins and minerals revitalise and rejuvenate the skin. 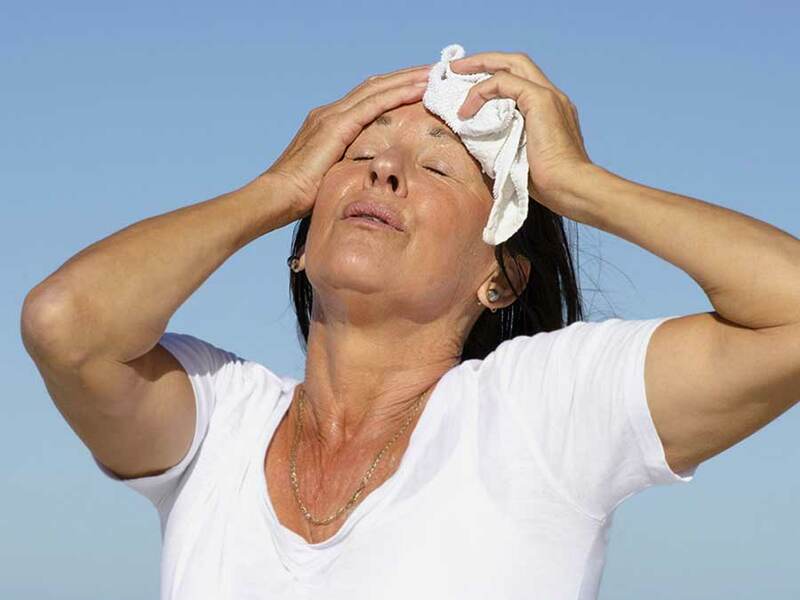 When we experience menopause, we are old enough to know that our skin is not as it once was. Natural and organic products can help achieve a more youthful appearance. Now who wouldn’t want to appear more youthful when we’re in our 50s? Skin care products made with natural and organic ingredients are excellent for healthy and radiant looking skin. Even though we may not be able to escape menopause, we can certainly alleviate the symptoms and combat the inevitability of growing old with natural and organic skin care products. At Kush Health, we take pride in our vegan beauty products free from harmful chemicals and made in small batches to keep the active ingredients pure as possible. Don’t let menopause prevent you from living an active, healthy lifestyle; take care of your skin by using natural and organic skin care products from Kush Health. Not only do we provide excellent products, but right here at Kush Health, we can treat menopause with naturopathy! By balancing your hormones and correcting any nutritional, vitamin and mineral deficiencies, our highly experienced naturopaths can help treat menopause. Through naturopathy, we help work closely with you to make changes to your diet and lifestyle combined with the use of herbal medicine. Naturopathy can also be applied to almost any health conditions and it is a great way to maintain your health. Get in contact with us today at Kush Health if you would like to know more about naturopathy and how we can treat menopause. I am interested in hearing more about this, as I have been up at 4:00 every night with hot flashes, for the last couple of months. The hot flushes you are experiencing are due to the hormonal changes in your body.I would have some tests carried out first to ascertain your hormonal levels and then adjust them using herbs supplements and diet. The skincare you use is also a factor to consider during menopause as there are chemicals in products that interfere with your endocrine system , affecting your hormones . Please inbox me your phone number, for a free chat to see how I may assist you with your hot flushes . I was suffering from Menopausal symptoms for over 6 years. I was feeling very run down, irritated, nervous, couldn’t sleep well, no libido, had many bad headaches. I suffered from mood swings, many hot flushes and night sweats, along with tingling feet . Those were the main symptoms. After seeing Kush I have had many things restored/boosted, my hormonal imbalances have been adjusted using herbs, supplements and using skin products that are without any chemicals. After 18 months I now have a few mild hot flushes that should dissipate, as my body has had adrenal support and my progesterone and oestrogen levels have been balanced. I can only recommend you don’t wait for 6 years for the miracle end to menopause.